Apple, already being a dominant force in markets like digital music, computing and mobile, has made a couple of strong statements with the recent iOS 8 update as to its future expansion plans, and along with the HealthKit infrastructure set to tap into an industry worth billions of dollars, Apple Pay has also given the world’s most valuable company a shoo-in to the world of finance. 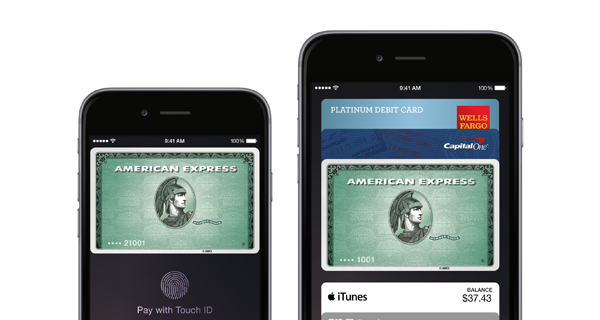 As well as facilitating contactless payments in a secure fashion – something recently introduced with iOS 8.1 – Apple has been striking deals with financiers and money corps left, right and center, and in the latest, has just announced a co-branded Barclaycard Visa that’ll land customers some Apple-focused rewards and benefits. 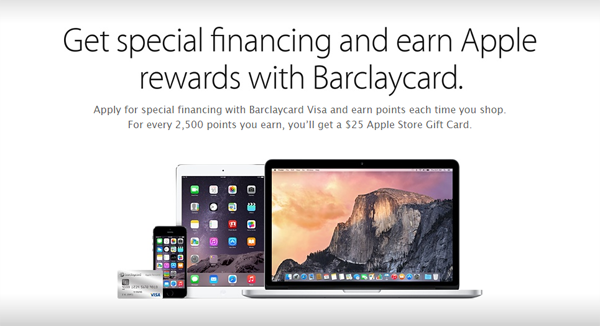 Given how much cash Apple continues to make on a quarterly basis, it seems that the business structure is very much suited to a concerted effort in the finance sector, and with companies and banks tripping over one another to offer support for the cardless, NFC-powered Apple Pay, the unveiling of the Barclaycard-branded rewards card is arguably just as exciting for those affiliated with the Mac maker. The two giants have teamed up to create a system that, in essence, works just like almost any other rewards scheme. As you shop, you accumulate points, and every set number of points – 2,500, in this case – you can exchange for $25 of Apple Store credit. This is particularly notable because, unlike Apple’s previous "iTunes Rewards Visa Card," it’s not limited to the rather less exciting App Store. Sure, $25 to spend on apps, games and music is great, but with the new chip-and-pin-ready Barclaycard permitting users to spend their reward cash in store, there’s certainly added incentive. If you’re serious about picking up this new card there’s no interest on purchases made during the thirty days post-activation, and during the first six months, no interest on purchases under $498. There’s no interest for 12 months on purchases ranging from $499 to $998, with the same rules applicable for the first 18 months on purchases of $999 and over. Three points will be attained for every dollar spent at an Apple Store, two points for every buck spent at a restaurant, and one point for every dollar handed over on any other goods elsewhere. So, if you don’t dine out and have no plans on spending money at the Apple Store any time soon, you’ll have to shell out a tidy $2,500 in order to see the return of just $25 to spend off the price of a new iPhone or Mac. Still, it’s better than nothing, right? Just another way for you to spend more money.. Will skip, not interested in more credit cards. Shame on you Apple!